To help you design and manage your custom dashboards using CQG with Microsoft Excel®, Thom Hartle has written the following articles that answer the most common questions. This spreadsheet outlines the basic syntax of RTD formulas and then details more complex formulas. 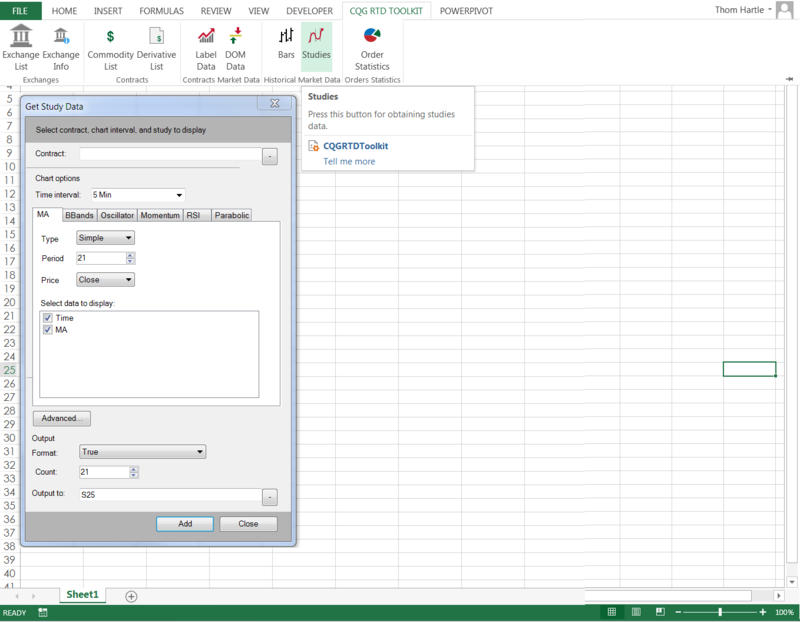 Included is a collection of popular RTD formulas, which you can simply copy and paste into your own spreadsheet.